No reassurance shield as 1804 joins 83. 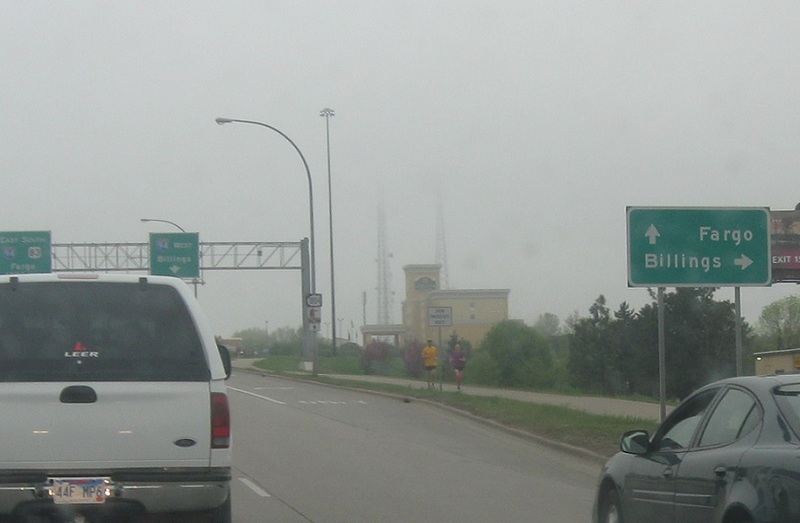 As we enter Bismarck, we’ll approach I-94. 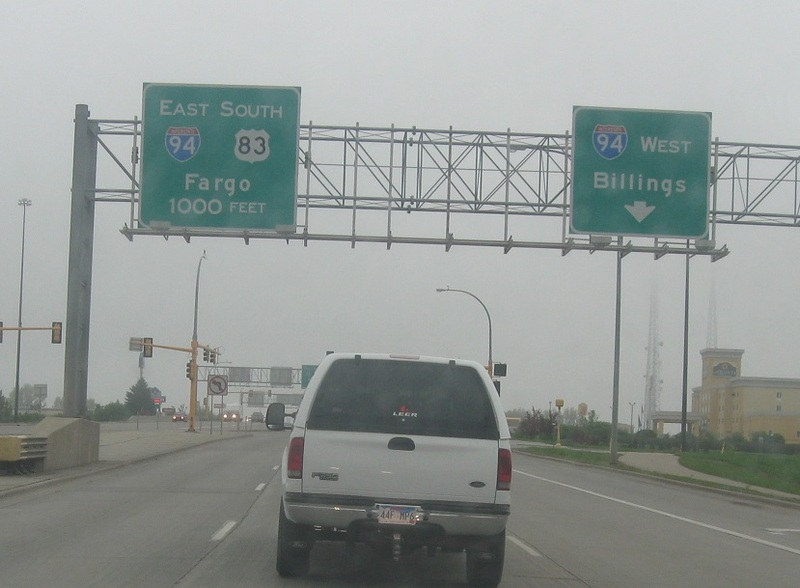 Follow 94 west to Billings and 94 east/83 south to Fargo. 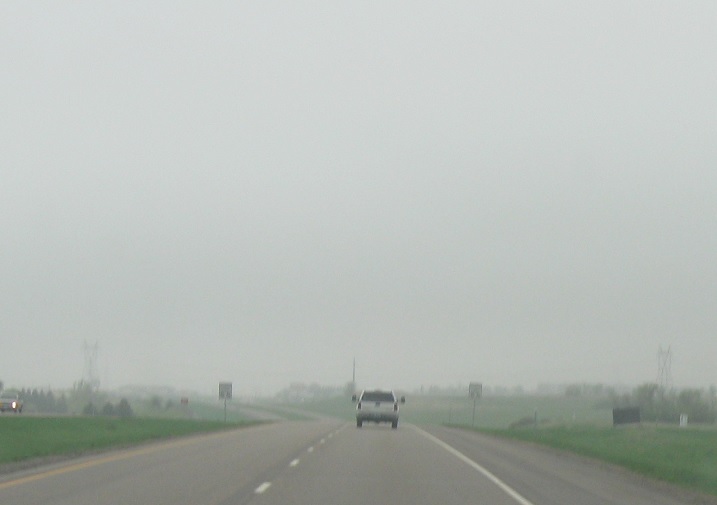 Stay on the surface road for ND-1804 into town. 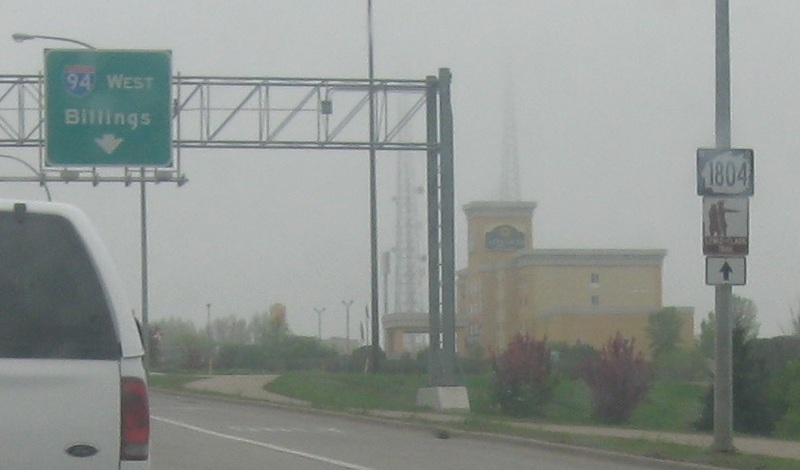 Keep right for I-94 west towards Billings, MT. 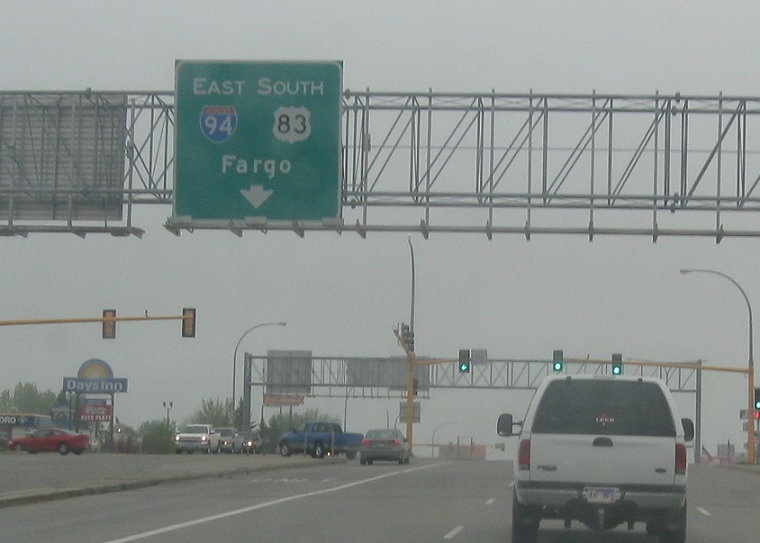 Turn left for I-94 east/US-83 south.